If the demand is sufficient, the Supporter\’s Club will offer tickets and transport to this mid-week evening cup match. Members are to contact Marc to confirm if tickets are required and to advise where they will be getting on the coach as soon as possible. 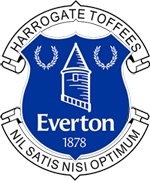 Email contact@harrogatetoffees.com or reply to the post on Facebook on the Harrogate Toffees page.